A future Irish dancer helps mommy apply ice to a muscle strain. What are your experiences with injuries as a dancer? Did it take you long to get back in the jig of things or did you have setbacks? If you love Irish dance, you've probably heard of the Sneaky Steppers. If you haven't, you are in for a real treat. Over twenty innovative Irish dancers who tour the world as professional dancers have pooled their talents and creativity together. The results: sneaky stepping and Hammerstep, an eclectic blend of hiphop, tap and Irish dance. Jason Oremus and Chris Naish, both members of Sneaky Steppers, agreed to answer some questions I had about their projects and what it's like to be an adult, male, Irish dancer. 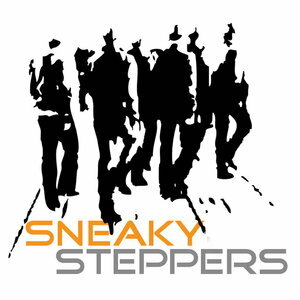 Check out the Sneaky Steppers on facebook and YouTube. What is the mission of Sneaky Steppers and Hammerstep? The basic mission of Sneaky Steppers is to ambush the public through dance. We provide fun-loving, free entertainment for the public to enjoy, drawing from a variety of popular activities, essentially ambushing the public through dance. 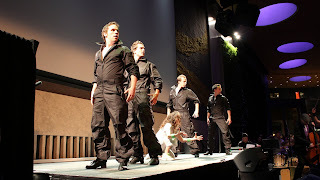 Hammerstep, however, is a stage concept that attempts to integrate Irish, Hip Hop and Tap dancing, highlighting similarities in the way they were developed, and how they responded to social and cultural issues at the time. Are the sneak attacks spontaneous? How did so many talented male dancers come together? All the guys in our videos are professional dancers and have all been brought together through dance shows or other dancing projects. Some of us have known each other from when we used to be on the ID competitive circuit. It really is a small world when you think about how many professional Irish Dancers there are. We are now meeting all sorts of dancers with these new projects though so it's really intriguing who we will be meeting in the near future. 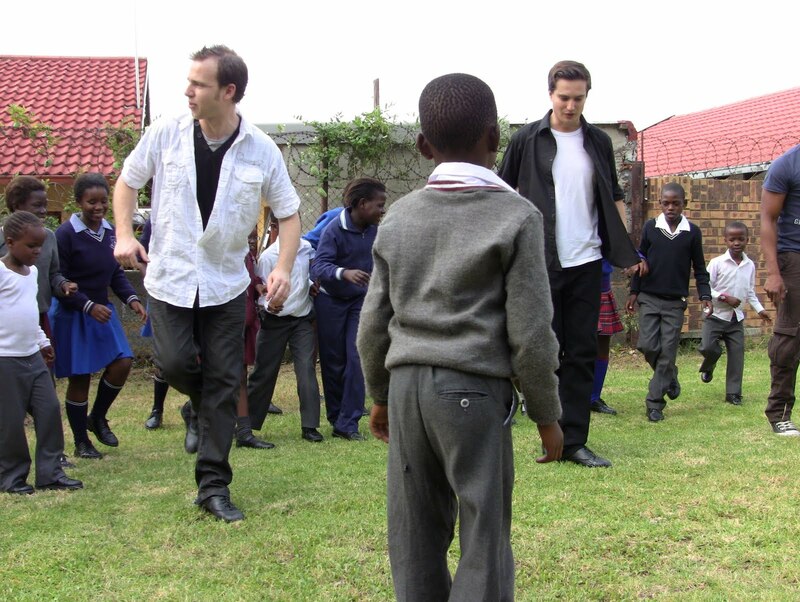 Do you have any advice for my sons, ages 11 and 8, who Irish dance? Stick with it. It has paid off for us time and time again. You can travel the world, make money and meet all kinds of exciting people. Irish dancing can open doors for you where you never thought possible. Also, dance like a man- with strength and confidence. That's really important. If you happen to see some random Irish dancers pounding it out on a sidewalk near you, take the time to stop and tell Chris and Jason hello. Better yet, join in! I'm looking for adult Irish dancers who are going above and beyond--dancing professionally, heading up special programs, teaching with innovative ideas, participating in community events, etc. If you or someone you know is doing an exceptional job as an adult Irish dancer, please contact me christy at dorrity dot net. When my son began Irish dancing, I noticed that the parents of the girls in Irish were given flowers or other gifts at performances and feiseanna. I didn't know what to give my son as the gifts seemed "girly". My son's dance teacher suggested that I look into a leather bracelet to show my son how proud I am of him. Leather bracelets are a unique gift idea for both boys and girls. If you are looking for a unique way to appreciate how well your daughter did at Nationals, how brave he was in a performance, or reward her for finally leveling up that stubborn dance, consider a leather bracelet. Celtic leather bracelets are a stunning and original gift that both boys and girls will treasure. Feis America Magazine and IrishCentral.com are merging to bring the best of Irish dance information to the Irish-American community. 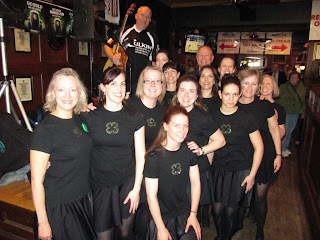 I am excited to be a blogger for the adult Irish dancers. Each month I will be highlighting adult dancers, professionals, health issues and new products.